Want to look younger? Don’t crack a smile, a new study suggests. Participants were shown pictures of people with smiling, neutral and surprised expressions. Compared to those wearing a poker face, the smiling people were judged two years older. Those with a surprised look were rated younger. 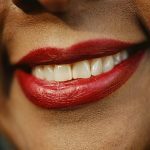 The explanation is quite simple: Smiling people look older because a grin forms wrinkles around the eyes, while a surprised expression smooths wrinkles, according to study co-author Melvyn Goodale. However, the study participants had different recollections when asked after they were shown the photos. “The striking thing was that when we asked participants afterwards about their perceptions, they erroneously recalled that they had identified smiling faces as the youngest ones,” Goodale said in a news release from the University of Western Ontario in Canada. He is director of its Brain and Mind Institute. “They were completely blind to the fact they had ‘aged’ the happy-looking faces. Their perceptions and their beliefs were polar opposites,” Goodale said. “It may seem counterintuitive, but the study shows that people can sincerely believe one thing and then behave in a completely different way,” he said. The study was published recently in the journal Psychonomic Bulletin and Review. The American Academy of Dermatology has tips for anti-aging skin care.